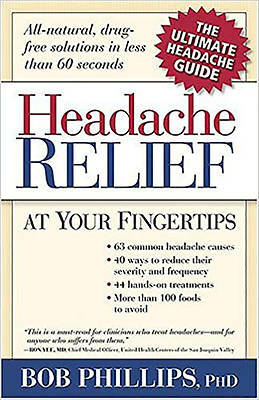 Not all headaches are alike What if you could find relief from headaches without taking medication again? Bob Phillips says you can start today by using these helpful steps to overcome the pain of migraine, tension and sinus headaches-and more. Are you frustrated with missing out on those special moments in life and irritated with taking sick days to deal with headaches?